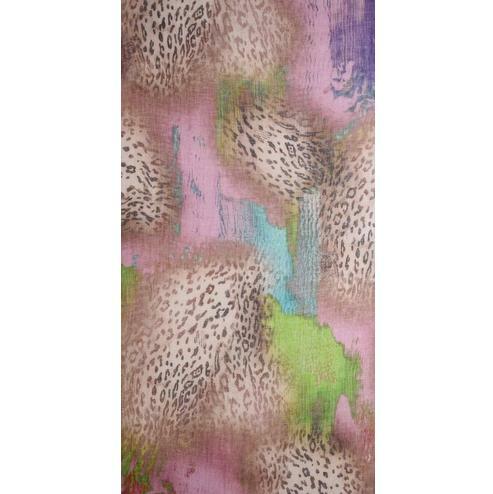 The combination of spectacular color and exotic Leopard makes this Animal print scarf a must have! 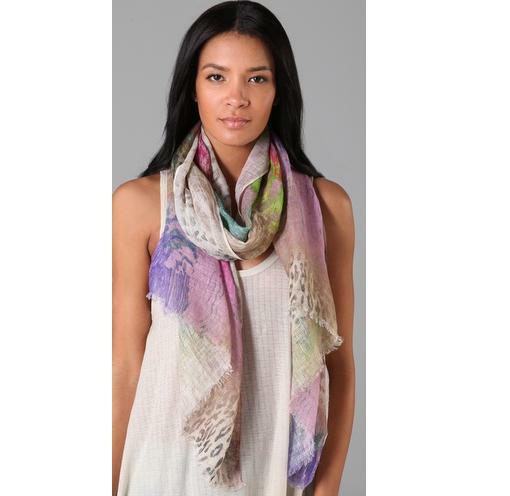 This animal patterned linen-gauze scarf looks like a piece of art and features frayed ends. * 2′ wide by 6.5′ long. A modern collection of scarves crafted from luxurious silk, fine wool, and the world’s finest Mongolian cashmere, Tilo was founded in 2008 by Sandy Lum, who found scarves essential during her world travels. This motivated the designer to use her fashion industry expertise to create beautiful yet functional scarves that could go anywhere. Each handmade scarf is unique, with sophisticated textures and rich color palettes, and the embroidered and printed designs are classic with a hint of edge.